Gemba Kaizen has two parts. The first half is a general theory where Masaaki describes all the tools necessary for any type of business to implement a lean strategy. Readers will have a better understanding of the "Why" and the "How" in the application of the tools. Imai lays out the lean philosophy and tools in a very simple way so that business leaders no only understand them but more importantly so they can apply them. 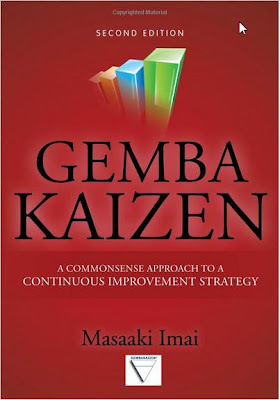 While the book's title may make one think the book is only about kaizen methods, The book "Gemba Kaizen" talks about moving beyond kaizen (continuous improvement) to an approach that is also "gemba" focused (gemba meaning the "actual place" or the place where the work is actually done). These are fundamental concepts in the Lean management approach. Imai's perspective is that Kaizen is the umbrella concept encompassing all efforts to improve not just factories but all businesses. In his view, TQC/TQM, the Toyota Production System, TPM, Hoshin planning, suggestion systems and small-group activities are all "Kaizen Systems. I don’t know if I buy into his all-encompassing view of Kaizen but that doesn’t change the impact of the book. It is still a powerful resource to improving your organization. Although the second edition is a solid 400 pages, it is a fairly quick read with lots of great insights and tools. This is not a book of theory, but a book of action. Its ultimate message is that no matter how much knowledge the reader may gain, it is of no use if it is not put into practice daily. Gemba Kaizen provides a simple frame of reference to use in solving problems. To that end Imai provides a number of checklists, examples, and case studies. I recommend this book to anyone wanting to improve their business with simple, common sense thinking founded in the gemba. I think this is a resource you will continue to reflect on as you move along your Lean Journey. I know I will. 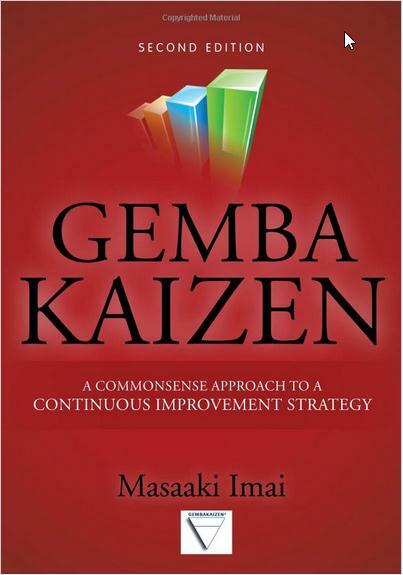 Note: The publisher provided a copy of Gemba Kaizen for review.